Most of us have seen Google Glass in action enough to know that the user of the device must say the words "OK Glass," before getting the specs to go into action. But as usual in the world of tech, there were a number of less succinct, more embarrassing phrases that were being kicked around before "OK Glass" was chosen. Amanda Rosenberg is the product marketing manager at Google who apparently is credited with coming up with phrase that pays. But before "OK Glass" was selected, Google had looked at using some of the following to be the Hot Words for Google Glass. Just a quick note first. If you've just come out of the hospital, you might want to save this for another day because you might pop a stitch laughing. Having said that, here is the list of possible phrases Google considered for Glass: Listen up Glass, Hear me now, Let me use Glass to; Go Go Glass; Clap on; Device, please; 3, 2, 1…; Glassicus; Glass alive and Pew pew pew. 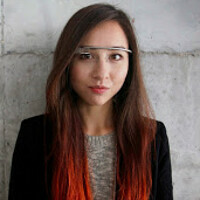 Ms. Rosenberg's email to Google Glass Product Manager Mat Balez on April 14, 2012 discussed her reasons for going with what proved to be the winning phrase. Google has allowed her to pass it on, and you can read it below. Go Go Gadget GLASS lmao. "Make me look stupid". While others look at me "stare" in a 45% angle, into a tiny piece of glass... Always gazing back and forth looking at the person i'm talking to and "Glass"... Wandering eyes, like a crazy person, whose thinking too hard. Hehehehehahahaha. I know. I cant wait to see these geeky morons looking like complete imbeciles in public...lol.